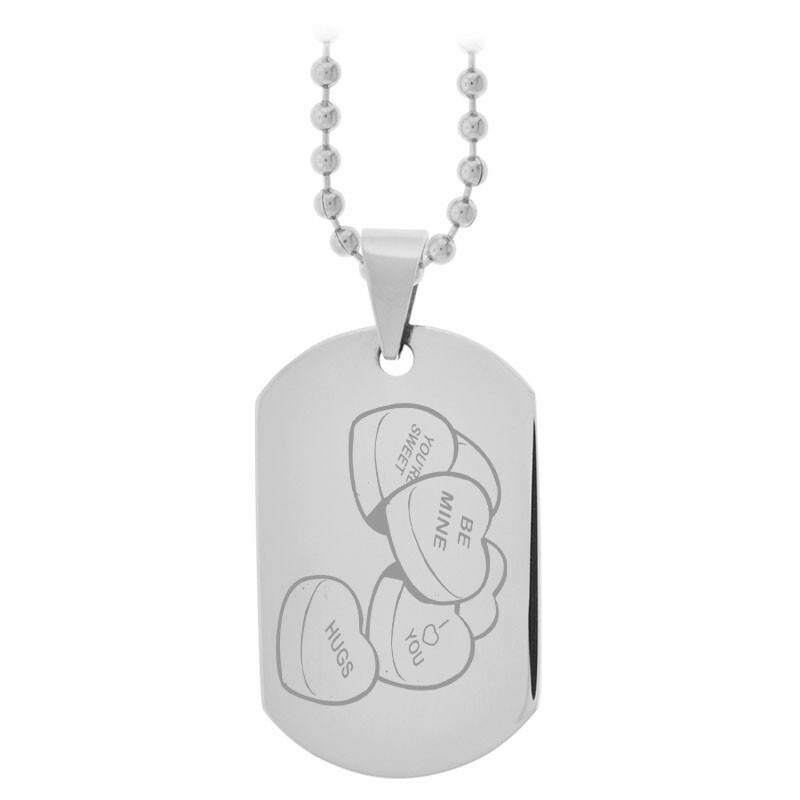 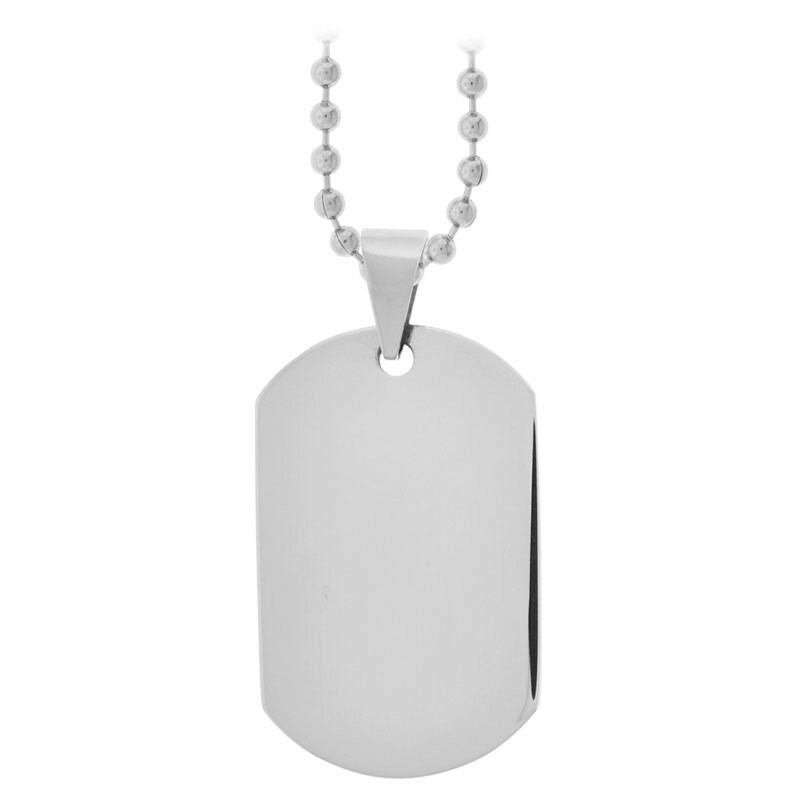 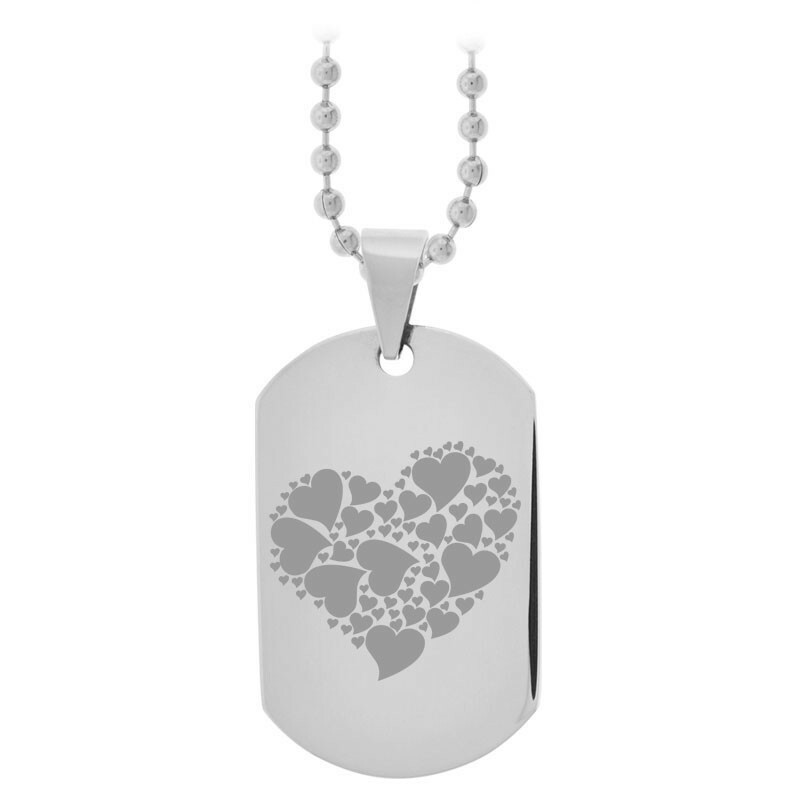 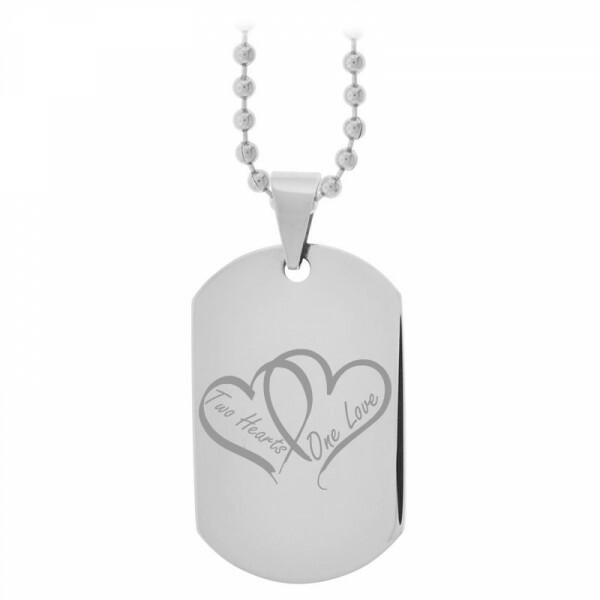 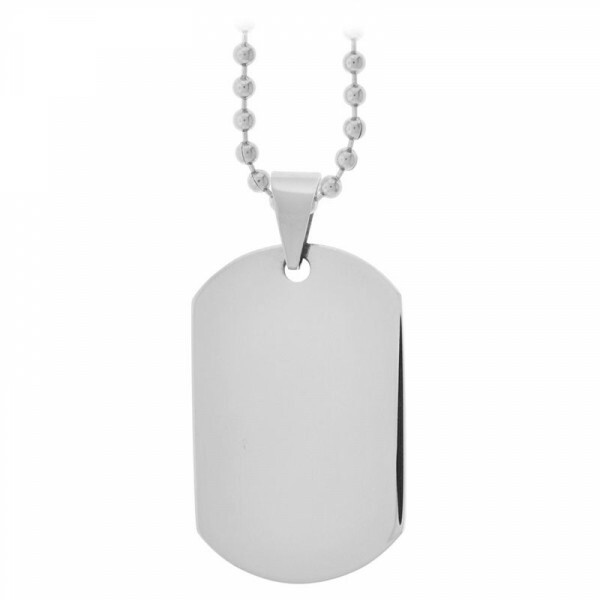 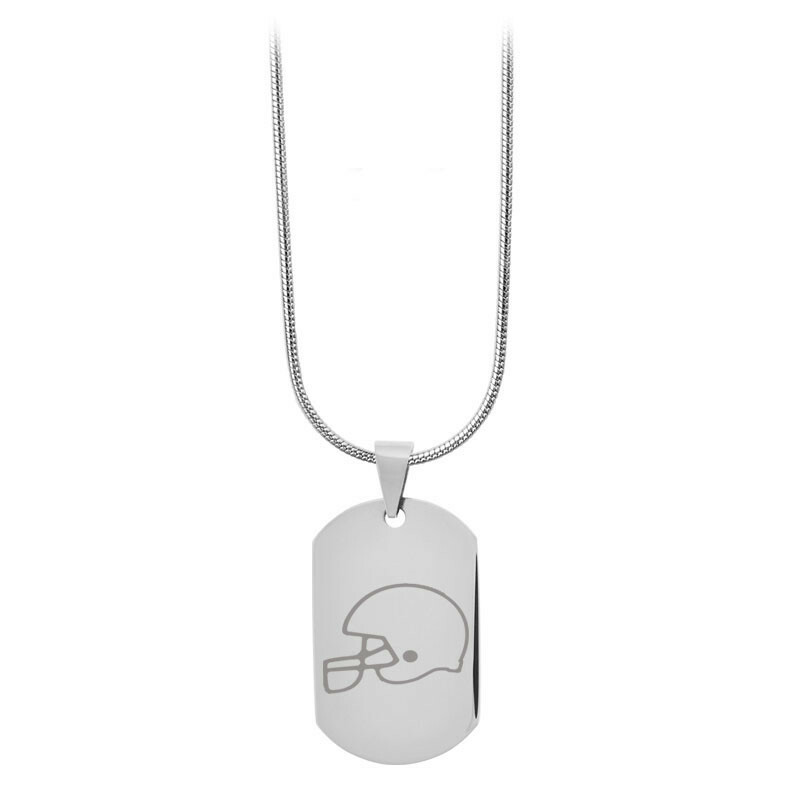 Military-inspired and Tungsten World approved, the STEEL dog tag pendant features high polished stainless steel and ball chain necklace. 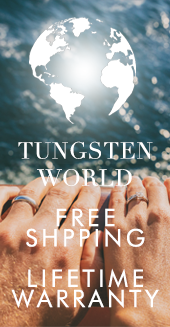 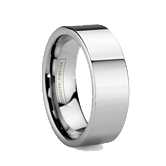 A masculine everyday accessory for guys of all tastes and styles, further personalize your gift to him with FREE laser engraving on one side of the pendant. 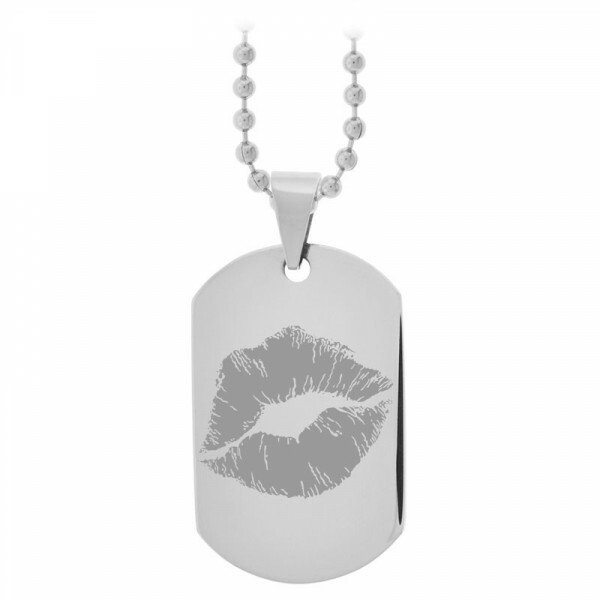 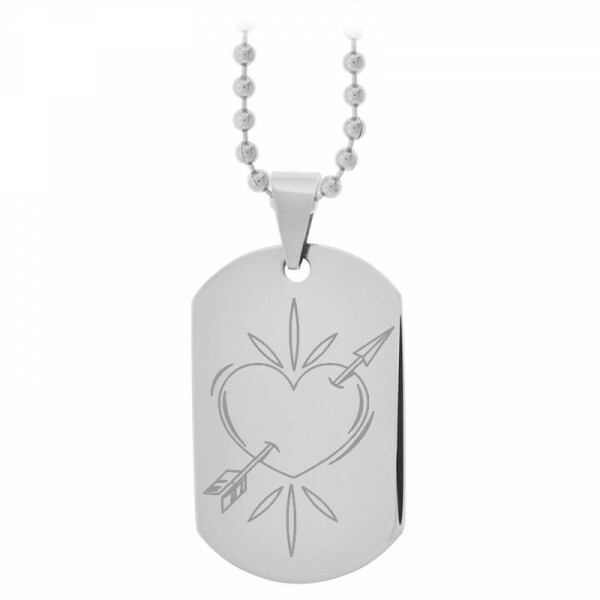 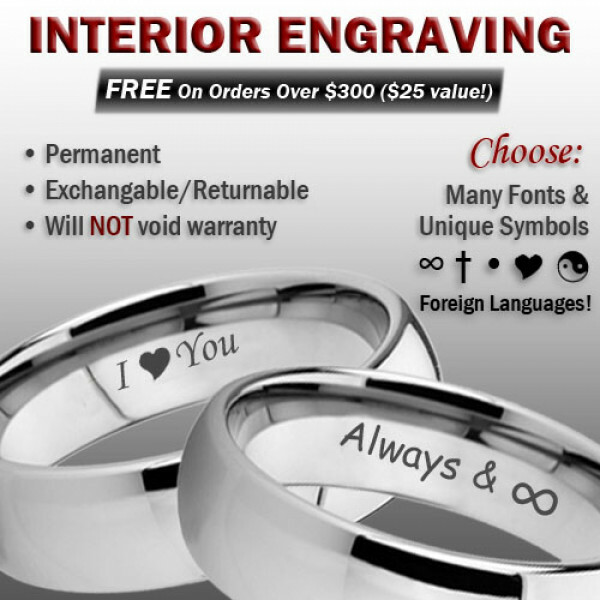 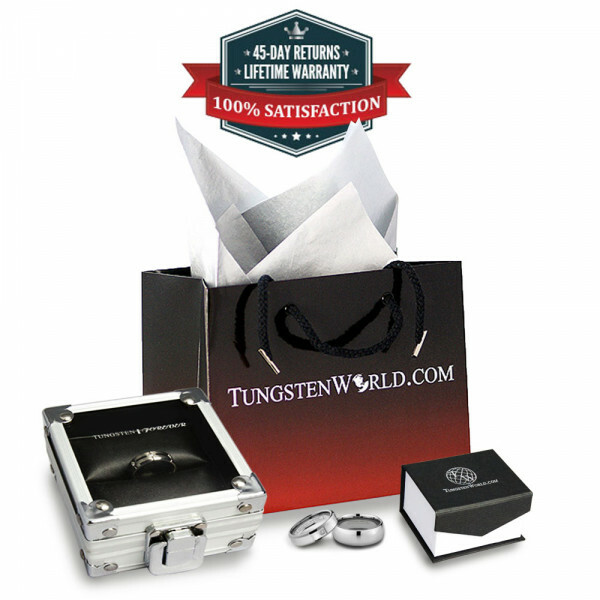 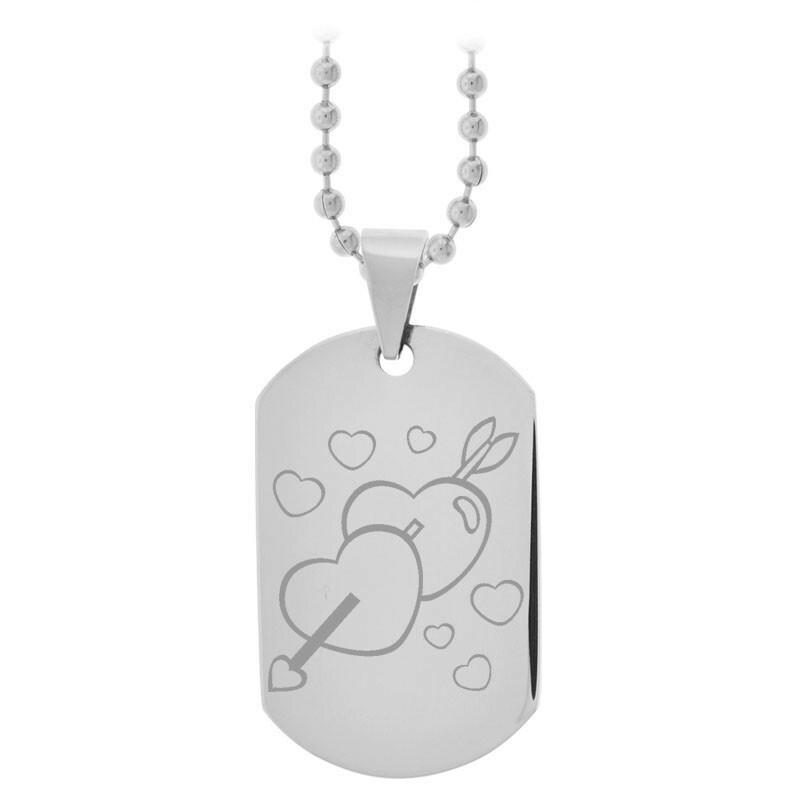 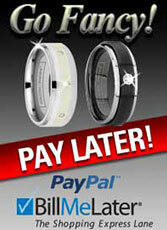 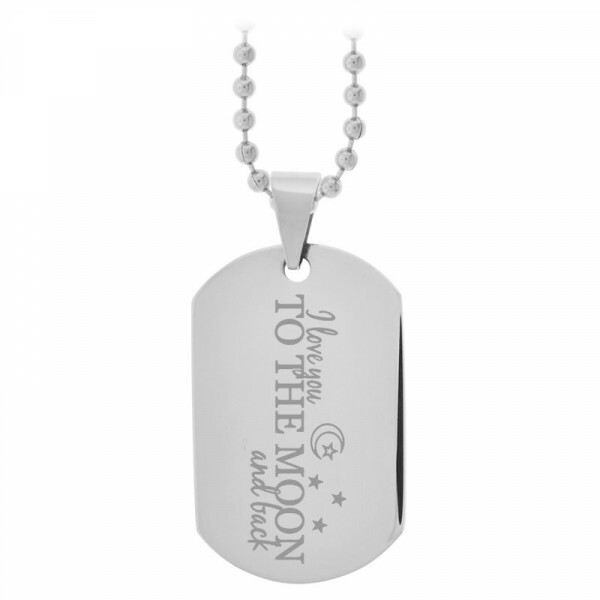 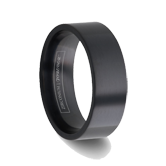 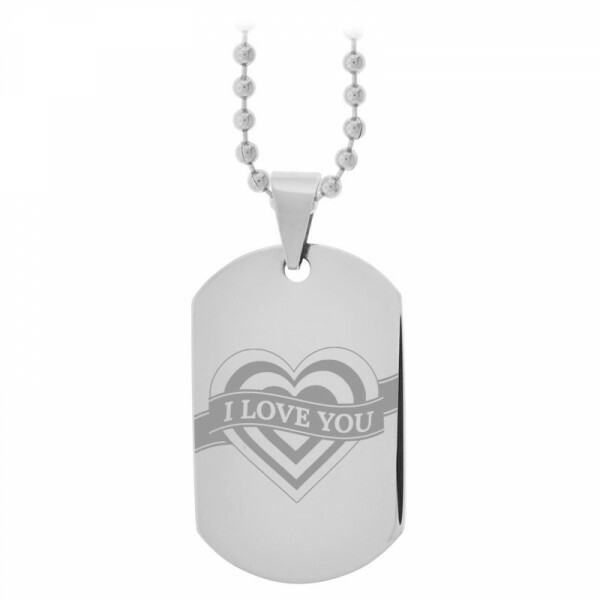 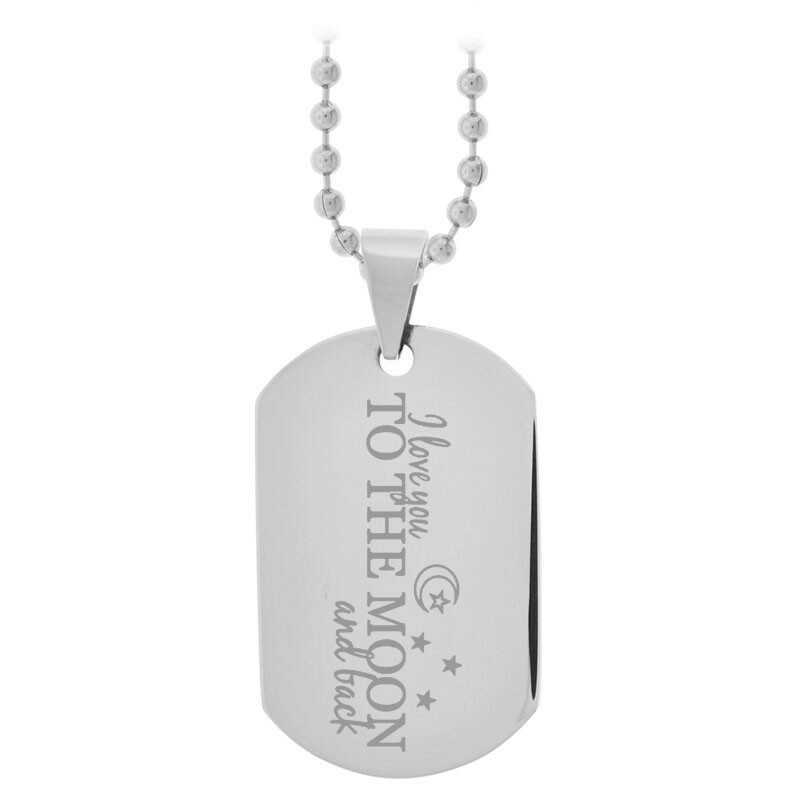 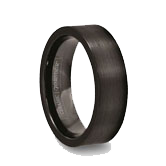 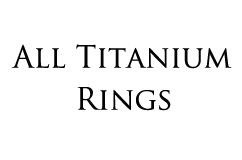 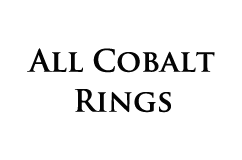 Add your engraving before putting the pendant in your cart online.